Hey there - I'm off to California for a cat sitting tour, so my Dad can visit his family in Iowa. I always like to send hubs a card or two while I am away and this one I think he'll like. For our anniversary this year we took a little road trip to take in some covered bridges, a touch of casino action, and some fabulous food. I am sure this card will remind him of our little trip. Thanks so much for stopping by, stay cool. Anyway, I'll be by when I can. 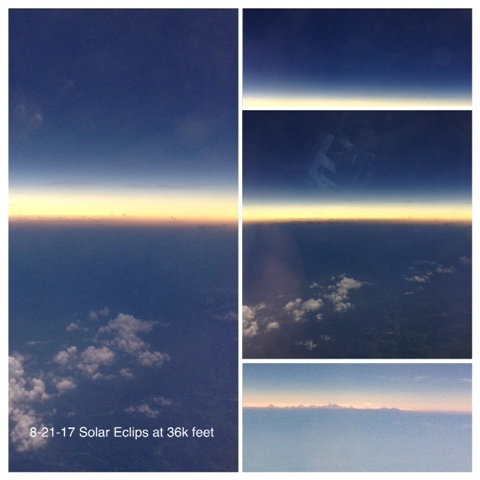 I flew in on the 21st and I got some cool pictures of the horizon during the eclipse and I thought I would share them. It got noticibly cooler on board and quite dark. It was a cool experience, wish I had taken more before photos. I used copic's for coloring, some white lines and dots added with a gel pen, tiny gems added to the flower centers, and my hello is made from fun foam. There are narrow silver glitter strips added above and below my flower panel. This was a save...I had messed up part of the coloring at the outer edges...so I just cut them off and used an alternate design.I hope you'll play along at Muse this week and tell me what inspired your card I'll be popping by to see what you create. I find this to be so relaxing. Have any of you tried out the AI Watercolor series? I have borrowed this Stampendous Rose stamp from my friend Peggy so many times. I just love coloring it and it seemed to be a perfect choice for her birthday. I colored it three times, and cut interior portions of the colored rose twice to pop up on top of each other for some dimension. There is the base layer, and the second layer which starts at the second line of petals from the outer petals and leaves. The 3 layer is the bud in the center of the rose. The sentiment is from Mama Elephant. If you have visited my blog for any length of time you'll know I love flowers and I love coloring - with markers or various water color mediums. 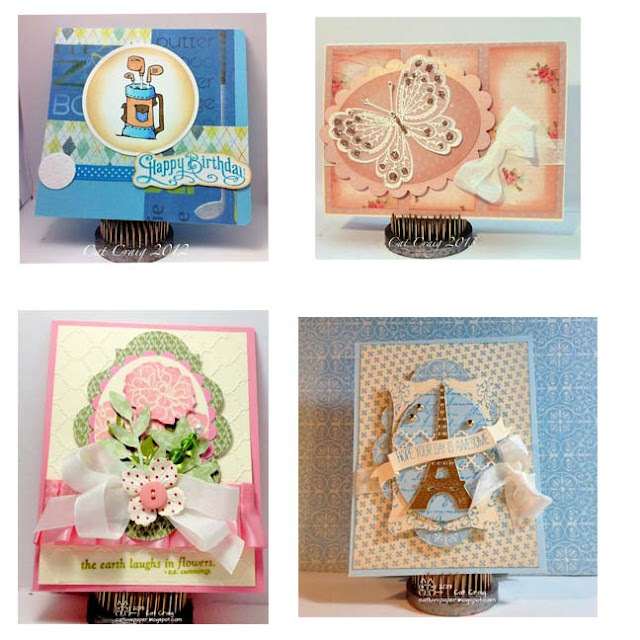 I also love mini cards, these three are 3.25 by 4.25 inch cards. The stamps are from Art Impressions, the color comes from Marvy La Plume II Markers in various shades. They are my preferred marker for these stamps -- they still allow color pulling with a wet brush 2 weeks plus after stamping. I had been using Tombow's but they become colorfast within a day. This is my last live post before I head to California -- but I have several posts scheduled to pop up while I am away. Tracey McNeely is our Muse this week and she gave us this darling birthday card. My Altenew Magnolia is mounted on foam. The backdrop color is provided by a SU burlap background stamp (Love it!!!) and instead of a black banner sentiment I chose black stamping on this mostly monochromatic card. Thanks for the inspiration Tracey! 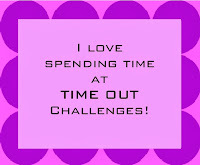 When I saw the challenge over at time out...I had to give it a shot! The theme is Autumn and the optional twist is speed stamping. It is defined by Time Out as making your card in 10 mins or less. 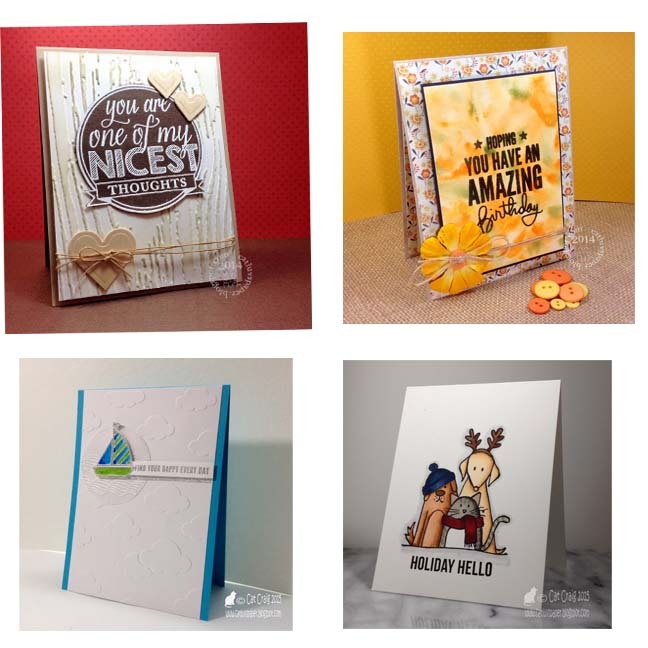 This excludes the time you need to plan the design and get all your products ready to make the card. I got out my products...and set the timer...then went to work. I didn't design this ahead of time. Once I tapped the timer I put the sentiment stamp in the misty and went where the urge took me. Just to the right of this is my vagabond, it is open and ready to go 24/7 along with a handful of dies that I use most. I used the misty for the sentiment, but blocks for the rest they were quicker. Five minutes and 42 seconds later I had my card. I'll have to make more...it makes me smile. I am trying to get through my bin of stuff I had to have. 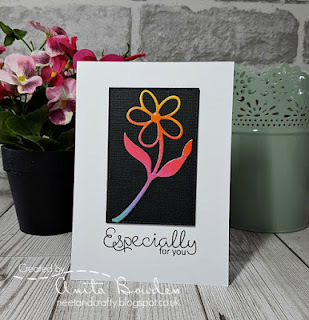 Some distress oxide inks and some new paper smooches dies were used for this card. I die cut the flowers, and then used the negative spaces to sponge some color on to a card panel. The die cuts were laid over the sponged bits. Gray for the card base and black for the sentiment finishes the card. 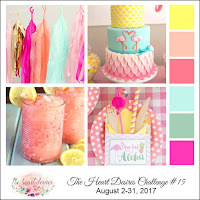 I am adding this to the Paper Smooches July and August Challenge which is anything goes. My jumping off point for this card is the August Mix it Up Challenge for Ellen Hutson with Avery Elle products, and I am still in need of birthday cards so another for Seize the Birthday - no Toppings, and these are some fabulous dies, so it is also going to Happy Little Stampers - August Anything Goes with Dies. I wanted an almost squarish card to better highlight the center circle so I cut down my card base and the Avery Elle die -Horizontal Stripes to 4.25 inches by 4.5 inches. I used Ellen's Wild Garden dies to decorate the circle and finished it off with a sentiment from Ellen's set Lovely. Thank so very much for stopping by! This is another card for hubs...thankfully he rarely checks the blog when I am about to travel. He knows I post cards and he doesn't want a potential surprise spoiled. 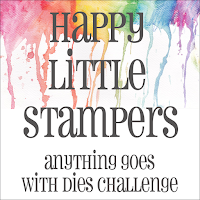 I picked out a stamp set, paper, and an embossing folder from a Stampin Up collection. The stamp set is called Going Global. I have had all the parts for ages and they has NEVER been used. 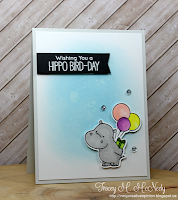 So I stamped, cut and embossed to put this one together. I am back from a few days away. I have a pile of challenges I want to play in before I head to California to visit with my Dad. 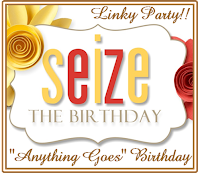 I have posts pre-done for that time period, since I may not have a lot of crafty time and I hate to let the blog sit idle, especially since I am having a give-away - read about it here. 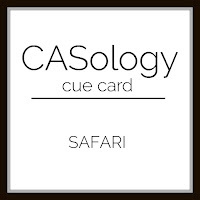 The cue at Casolog is Safari, and at Addicted to Stamps and More it is Clean and Simple week. I thought this would work well for both challenges. I like to send hubs cards while I am away...I often leave them around the house for him to discover as well. I think the girl is putting forth the question...look at those eye lashes and the standing giraffe has a bit of a huh what look in his eyes. Or maybe he's just wondering how she's hanging down like that? The stamp set is stacking animals from SSS,and the sentiment -- that's good old computer generated typing. Now how to get it in the perfect place you might wonder? I printed it out on a plain sheet of paper somewhere the middle; then I put my colored panel over it and saw it through the panel using light from the window. I taped it to the paper with some washi and printed it again. 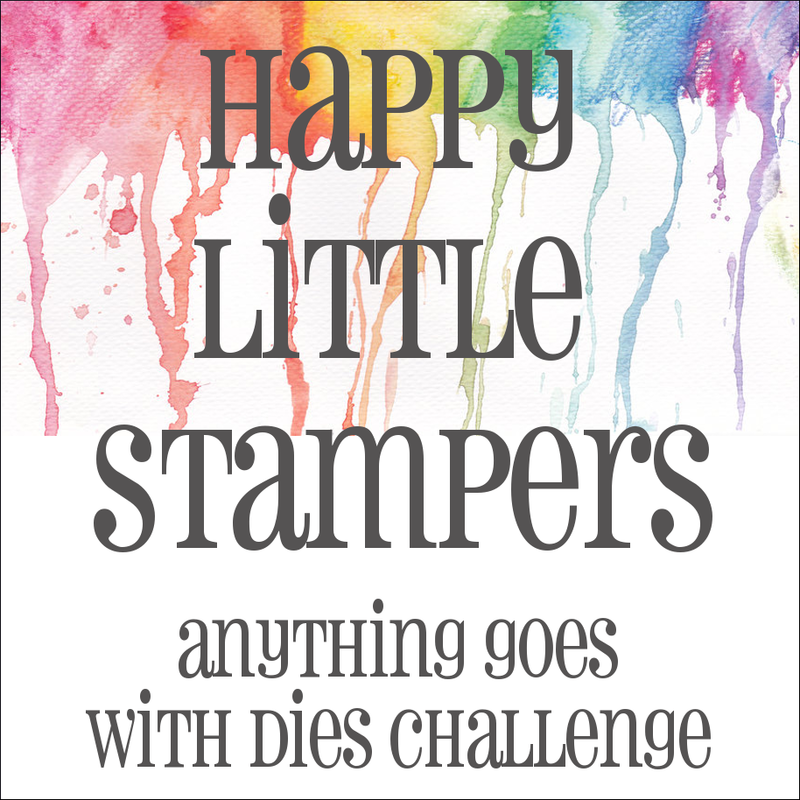 A new stamp set to my Art Impressions stash is a darling little chair. I imagine it set in an overgrown late summer garden surrounded by pots and run amok flowers. I am never quick to work on a challenge...I need time to think. This week I will have little crafting time so I had to jump on Muse this week. I love Anita's card. 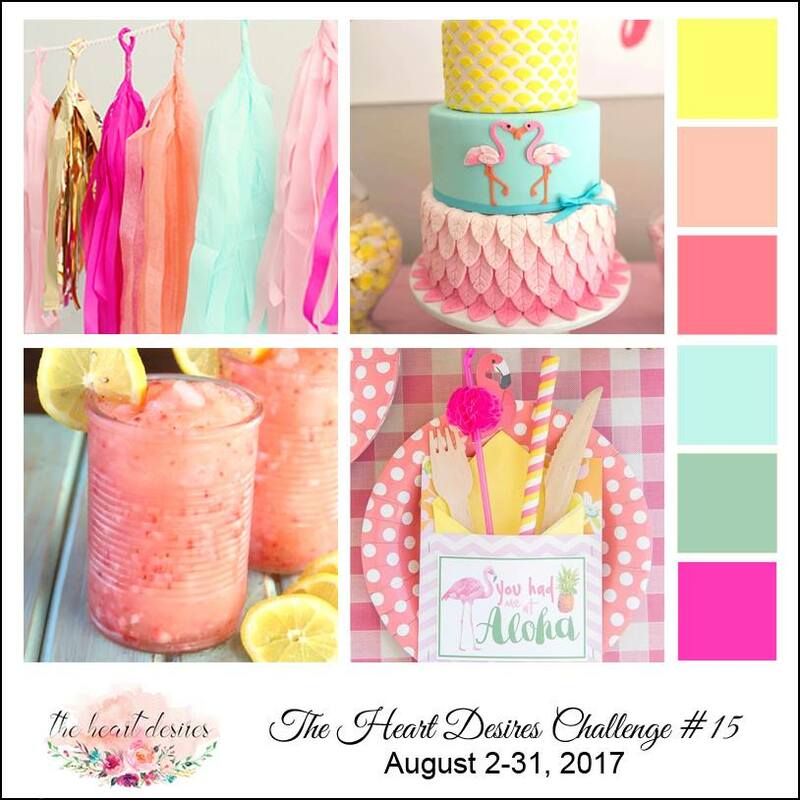 I was inspired by it all the colors, the layers, the die cut. Distress Inks, a couple of die-cuts, and because I couldn't resist a few sequins. 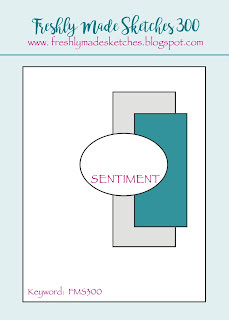 No sentiment - lately I have had design problems - I don't seem to leave a good space for a sentiment. Oh well, there is always the interior. 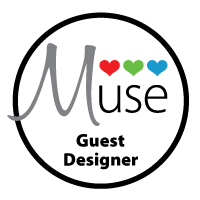 Go play with this week's muse, and thanks for stopping by! Hi there, I am still enthralled with the AI Watercolor series stamps. For this card I borrowed the darling Birdhouse from my friend Peggy. The darker spots are stickles, I am on the fence about the effect. I love it from a distance IRL it sparkles so sweetly. Up close though..it might be too spotty. I am adding this to Muse for this week's Anything Goes challenge. 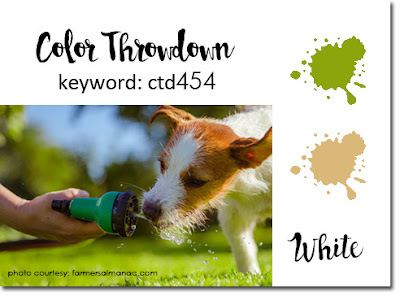 Here is my entry at the last moment for Color Throwdown 454. The colors are green white and kraft. I used a piece of bristol die cut with these lovely little holes to create a frame sent to my by my friend Greta (thankyou) it was so easy to blend on some antique linnen and tea dye distress inks to get a light shade of kraft. I also added the leaves from my friend Betty (thank you). I don't often make an all die cut card but I was happy to be able to use some items from my box of goodies sent by other crafty ladies. I've been busy working on Christmas card prep, but more on that later. 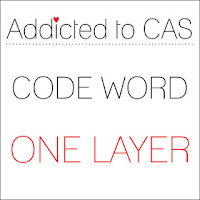 Today's post was inspired by the photo at The Heart Desires and the prompt at Addicted to CAS. Those colors at The Heart desires just reminded me of a wonderfully cool and scrumptious gelato or sherbet...actually made my mouth water a bit. My favorite flavors are lemon, raspberry and strawberry. It's been a while since I made a truly one layer card, so this is shaped, two pieces glued together at the top to form 1 card front and back. I pulled out new to me from Simon Says Stamp Ice Cream Dream, and stamped 3 cones. Each was colored with inktense pencils, I addea a bit of aqua at the bottom so they weren't quite floating about. Thanks so much for stopping by, and if you haven't yet - read about my give away here. This month my card is going to Dotty Jo. I decided to go with the prompt Cacti...I have one cacti stamp set, a sweet little one from Lawn Fawn. The pots were stamped in SSS Burnt Orange, the Cacti were stamped in Lime Green and Olive Green also from SSS. I used a W1 Copic marker to add some subtle shading and to try to ground the pots. The background is SU's watercolor background stamped in HA Soft Pool. This is my 1000th post. It is hard to believe I have made more than 1000 cards in the last 4 years and 10.5 months. I started blogging September 15th of 2012. For a bit of nostalgia I pulled together 12 of my favorite cards...some favorites at the time and some favorites now. Only one of the cards below is still in my collection, all the others were given with love. My style has definitely changed. 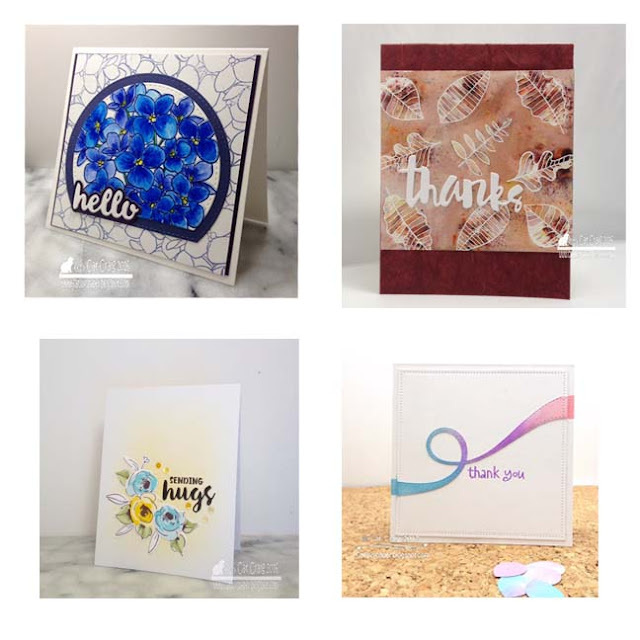 My designs have certainly improved with the help of classes and looking at all the beautiful things my fellow bloggers create. So on to the photos, each grouping of 4 is labeled below for the time period in which they were created and posted. So to celebrate a lot of cards and my 5th blog-anniversary on September 15th I'll be giving away 2 gift certificates to an online crafty retailer in the amount of 25.00 each. All you have to do to be in the running is to comment on as many blog posts between August 1st and September 15th as you like. Each comment on different blog posts is one entry. If you are new here and you'd like to follow me, that would be great - but not required for the give away. I am so grateful for the lovely women I have met through this hobby and the friendships that have developed. It is a fantastic community and I am happy to be a part of it. As always, thank you so very much for stopping by!